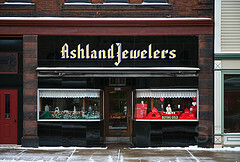 Jewelry: repairs, Restyling, Appraisals, Special orders. Watch: Battery replacement, Watch bands and leather straps, Minor repairs. Store Hours: Monday – Friday 10am – 5pm.